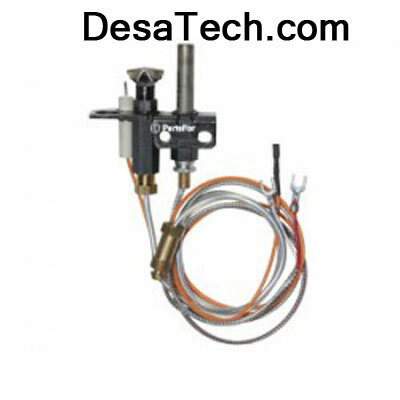 14583 LP Gas ( Propane ) Gas pilot, comes complete with Thermocouple, Electrode, and pilot bracket. Please note that Desa international filed bankruptcy in December 2008 and is no longer in business. DesaTech.com is an information site for products manufactured by Desa prior to 2009. This site has owner’s manuals and tech tips that were written by Desa prior to their bankruptcy. You can also find links to purchase parts for Desa products, as well as links to other manufacturers of heating products similar to those previously offered by Desa. Products that were manufactured by Desa should only be serviced by qualified technicians.